Supple has been named one of the fastest growing businesses in Australia, and we’re always on the lookout for new employees to help expand and grow our SEO company – along with our clients’ companies! Supple is a family, and when we’re looking for a new addition, we care about what’s in our prospective employee’s head and their heart. To keep up with the competitive, fast-paced landscape of digital marketing, we’re looking for employees that share ten key traits and values. A Supple employee needs to be confident. We’re a company that wants our clients to feel in safe hands – to inspire confidence in others, one must have confidence in oneself. This means having a voice, sharing your opinion and taking critical feedback with self-assurance. A Supple employee needs to be goal driven, and always strive for their own personal best. Our service is all about helping businesses reach their full potential, so it’s a trait we look for in our employees too. This means always taking that extra step to improve your performance, learning and growing with the job. Supple is all about flexibility – it’s where we get our name from. The digital marketing landscape of today isn’t what it was yesterday – and it’s not what it will be tomorrow. Staying up-to-date with changing strategies and techniques, along with constantly auditing and modifying our own services to tailor a strong-performing digital strategy for each client, means that flexibility is vital. Being able to sell yourself as confident, driven, flexible and reliable is all well and good – but we need our employees to back that up with in-depth know-how. Whatever position you’re in, we expect a comprehensive understanding of how the job works, as well as a willingness to learn more and stay on top of changing trends. We’re a smart company – we need smart employees to match. At Supple, our first responsibility is always to the customer. It’s part of the reason why we’ve been so successful, and how we’ve maintained relationships with over 1000+ satisfied clients. When it comes to finding a new employee, we need someone who is willing to go the extra mile to ensure we maintain our reputation for customer satisfaction. Having the skills and know-how is important – but translating that into quality results is key to our services. Supple provides regular SEO strategy audits for our clients, taking a look at the results we achieve and how to make them better. We need someone who cares about getting results, and is willing to try new ways to achieve results if previous strategies haven’t been working. We don’t believe that people ever stop learning. While you may have finished a degree, or feel you have a solid understanding of a particular field, there’s always more to learn. The IT landscape is something that’s constantly shifting, and we need employees that value the process of learning. Our company is all about improving others – but improving ourselves is a key part of that. Being a positive person is essential to a Supple employee. Our offices are positive environments, places where we foster a sense of community amongst employees. Bringing a sense of joy, excitement and curiosity to the role will help you fit right in – and help you aim higher with your own work. Above all else, we look for employees that carry themselves with integrity. Our customers put their faith in us, and we don’t take shortcuts to meet (and exceed) their expectations. Maintaining an open, honest and principled service is as important to us as it is to our clients. We're hiring for a number of different positions, so have a look around and get in touch with us if you think you'd be a good fit at Supple. You will have all the support from our friendly team, which include fellow SEO account managers, customer service managers, writers, developers, among others, and you will also enjoy complete freedom working with your techniques to get the best results. In return, you get a competitive salary, a great friendly team, and full autonomy to set your own deadlines and get the work done! Also, a full-time permanent job so there is no need to stress about the end of the role and a modern office in Richmond. We have a gaming lounge, table tennis easy and friendly culture where you will be let to do your best! We always have a fully stocked kitchen with fresh fruit, snacks, cereal, eggs, bread, milk, coffee, tea for you! We have been in the digital industry for the last 5 years and have grown exponentially, we were also named one of the AFR’s fast 100 and Deloitte’s Technology Fast 50 for 2018. Visiting www.supple.com.au will give you a good idea of what we do and how we do it! Enough about us, we want to know about you! Please hit apply now if you think you tick the boxes and we will be in touch within no time. We are looking for a Paid Head to join our fast-growing team who will make the Paid Channel their own with their expert direction. This is a recently created role and the key focus of this role will be to head, identify, develop and execute overall strategies for the paid channel. More about the role: You will have all the support from our friendly team, which include video producers, web designers, digital marketing specialists, PR specialists among others, and you will also enjoy complete freedom working with your techniques to get the best results. You will be handling Supple’s social media accounts and running clients’ social media campaigns, with the aim of driving conversions and making every dollar count. 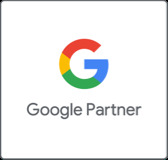 You will also stay on top of Google updates, open new pathways for improved performance of our many exciting campaigns and engage with our harmonious and hard-working team. What you get in return for joining us is a competitive salary, a great friendly team and full autonomy to strategise and get the work done! Also, a full-time permanent role working in a modern office in Richmond. We have a gaming lounge and table tennis for some rest and unwind, and of course, socialising every Friday evening. We always have a fully stocked kitchen with fresh fruit, snacks, cereal, milk, coffee, tea! We have been in the digital industry for the last 6 years and have grown exponentially, we were also named one of the AFR’s fast 100 and Deloitte’s Technology Fast 50 for 2018. Visiting www.supple.com.au will give you a good idea of what we do and how we do it! Enough about us, we want to know about you – apply now and If shortlisted we will be in touch shortly! Bookkeeper / Internal Accountant – URGENT! We are after a switched-on, responsible Bookkeeper with experience in Xero. You will be the only accountant in the company internally and will be working with an external accountant from time to time. You will have full support from the admin for any admin duties including documents filing, scanning, which will, in turn, help you focus on the important money matters within the company. Processing payroll fortnightly with support from the people manager. Preparing and providing financial reports, BAS statements, cash flow, tax payments to the Directors, and the external company accountant. A major requisite is an experience in Xero and the attitude of “no job is too big or small”, we are a friendly team working in a supportive culture who rely on each other. So, a warm friendly attitude will go a long way. What you get in return for joining our team is a competitive salary, a great friendly team as mentioned and full autonomy to set your own deadlines and get the work done. Also, a full-time permanent role working in a modern office in Richmond. Enough about us, we want to know about you – apply now! If shortlisted we will be in touch shortly. If you would like to send further details and want to kick start your next role with one of the fastest Australian growing companies, email your CV and the supporting material to jobs@supple.com.au OR use this form.